Some schools are embracing a national trend to reinvent recess as we know it. But can structuring playtime tackle the problems of bullying and childhood obesity? And at what cost? It’s 10:15 a.m. at Powell GT Magnet Elementary School, and the halls are packed with rows of tightly wound little kids, wriggling impatiently in lines, awaiting the word that will set them free — and will alert them to their class recess assignments. Will they participate in games on the basketball court today? Rotate through games on the field? Or is this their day to be wild and free on the play structure? A carefully orchestrated schedule determines their daily recess rotation, and trained teacher-coaches are standing by to facilitate their play. Welcome to structured recess, a new trend on school playgrounds across the country, where kid-directed time wasting and loose-ends invention are gradually going the way of jacks and shooting marbles. 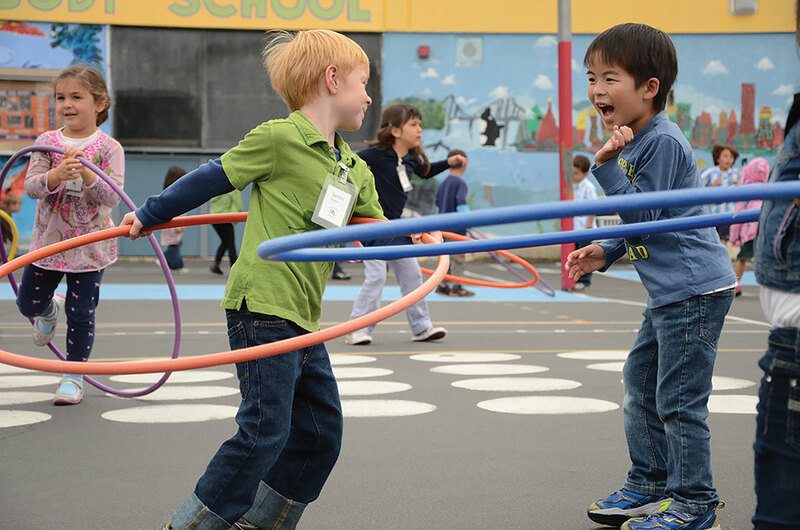 The brainchild of groups such as the California-based nonprofit Playworks, which has already transformed recess at dozens of Pacific Northwest schools, structured recess is also taking a swing at a couple of other childhood mainstays: exclusion, inactivity and bullying. Did you know that recess was broken? It’s widely known that many of the worst sorts of bullying take place on the playground, where happy chaos provides cover and playground monitors try but inevitably fail to be everywhere at once. Small aggressions — the little cruelties of childhood: pushing and shoving, subtle put-downs and exclusions, taking cuts and calling names — have always been part and parcel of recess, the cost of letting wound-up kids off the leash for a much-needed release. But for some, the cost is becoming too high. Bullying is on the rise; the School Crime Supplement of the National Center for Education Statistics and Bureau of Justice Statistics reports that 28 percent of students in grades 6–12 experienced bullying during the 2010–2011 school year. Schools are under increasing pressure to come up with a solution. Enter Playworks. 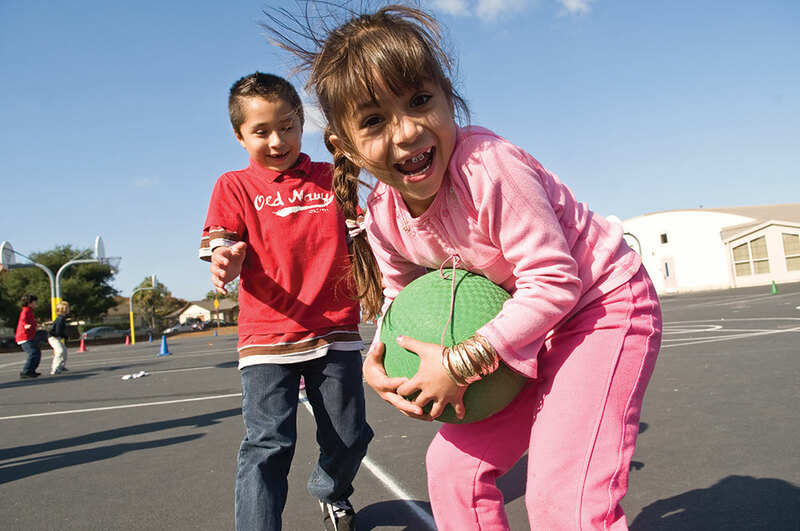 Funded in part by grants from the Robert Wood Johnson Foundation and others, and in some cases, by the schools themselves, Playworks rebuilds recess in one of two ways: either by placing a full-time recess coach at a school, or by training the existing school community to implement the program. In either case, teachers, parent helpers and fifth-grade “junior coaches” are trained to help with the program, learning everything from playground games (Playworks has a vast library) to conflict-resolution tools (the big one on a Playworks playground is called roshambo — you probably know it as rock-paper-scissors). A series of play stations and a schedule of class rotations are devised, with an eye to the needs and wishes of the school community. Is it telling that kids at Powell wanted more time on the play structure — the one recess “station” without structured games or interaction? It’s not hard to imagine kids railing at the notion of more rules and instruction during the only window of time they have left in the school day to just go nuts. And in this age of before- and after-school enrichment, weekend clubs, teams and activities, and parent-coordinated playdates (with kids of the same age and gender, natch), the time that kids get to spend doing their own thing — or doing absolutely nothing — is dwindling to near-zero. Plug in a few media-enabled devices and you’ve got a near-complete dearth of hang time in the ’hood. Mud pies these days are in terribly short supply. “I think that in a time when children’s lives are increasingly structured and adult-facilitated, children may be losing opportunities for developing certain important skills,” says Pooja Tandon, Ph.D., a researcher at Seattle Children’s Research Institute and a pediatrician at Seattle Children’s and the University of Washington. “With traditional, unstructured recess, kids learn in different ways how to interact with peers, [such as] conflict resolution and negotiation. They also learn things like the joys of creativity, exploration and coming up with your own game.”But how much does that really matter? For Tandon, the concept of unstructured playtime extends to the environment, as well: “Children need to play in natural settings, as opposed to playgrounds that adults have made,” she says. Balancing on a log, for example, as opposed to a plastic balance beam; climbing up something with unequally spaced handholds, as opposed to a carefully designed, ergonomic jungle gym. “This helps a developing child’s brain learn how to react to a new exposure — something different than what happens every day. That can have some value for them in learning resilience.” Resilience, and coping with the unexpected, the unprocessed and the undefined, are critical skills for thriving in the adult world. That’s a big win these days, when childhood obesity has become a national epidemic. In 2012, according to the Centers for Disease Control and Prevention, 18 percent of kids ages 6–11 and 21 percent of kids ages 12–19 were obese. 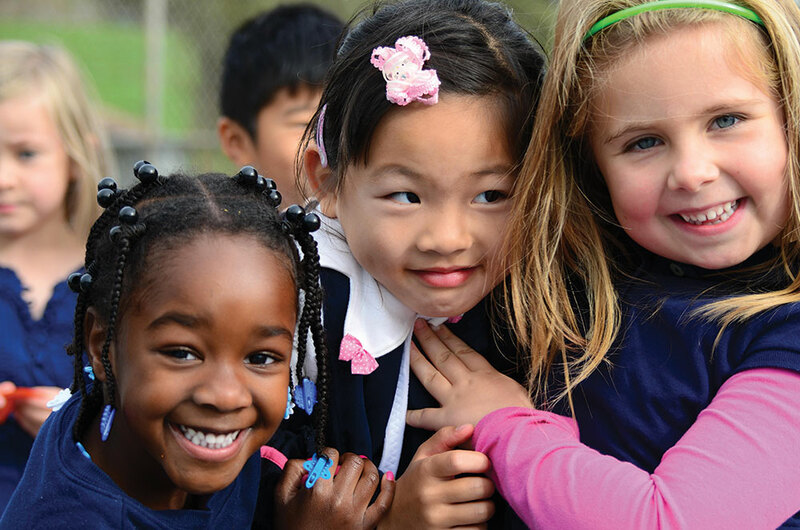 There is no clear data that Playworks is moving the needle on childhood obesity, but there is little doubt that the program’s focus on inclusion gets more kids moving at recess. Even critics of structured play acknowledge that — but, they ask, at what cost? Experts have long understood that free play — of the child-directed, unstructured sort — builds both intellectual and emotional intelligence. A 2005 article in the Archives of Pediatric and Adolescent Medicine points out that free play also promotes problem-solving skills, as kids plan and organize their own games. “Unstructured active play with others, including parents, siblings and peers, is a major opportunity to cultivate social skills,” write the authors. “This is because all play with others requires solving some form of a social problem, such as deciding what to play, who can play, when to start, when to stop, and the rules of engagement.” Solving the inevitable conflicts that arise during play helps children learn to compromise and cooperate, cultivating such capabilities as empathy, flexibility, self-awareness and self-regulation, according to the authors. But the AAP goes on to acknowledge the multiple benefits of structured recess, including game instruction, inclusion of kids of all skill levels, conflict-resolution skills, improved behavior and better attention in the classroom. “Consequently, the potential benefits of mandatory participation of all children in a purely structured recess must be weighed against the potential social and emotional trade-off of limiting acquisition of important developmental skills,” the AAP writes, refusing to choose sides. That’s music to Jonathan Blasher’s ears. As executive director of Playworks for the Pacific Northwest, Blasher has overseen the implementation of the program, now in more than 80 schools in the region and serving about 30,000 Northwest kids, including those at Roxhill and Dunlap elementary schools in Seattle. 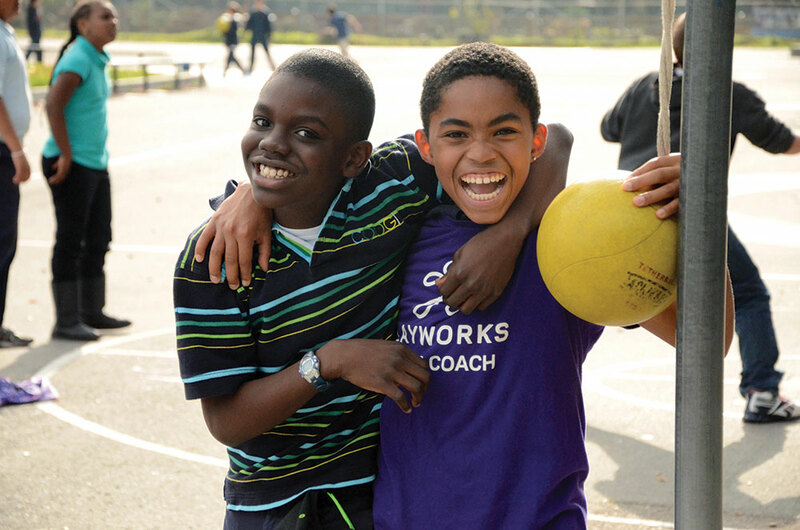 Founded in 1996, Playworks serves about 900 schools nationally. Indeed, if a child wants to sit out for a spell — or just run around yelling for a while — he can, Blasher says. More often than not, he says, eventually the reluctant child will join in. In Skenazy’s view, as childhood has changed, something has been lost. “When I was growing up, there was often a kickball game going on in front of my house in suburban Chicago,” she says. “I learned kickball from the other kids. No one ever sent me to a kickball class.” Now, Skenazy says, with nobody on the streets playing kickball (or red light/green light, or tag), these games are disappearing like a lost language. 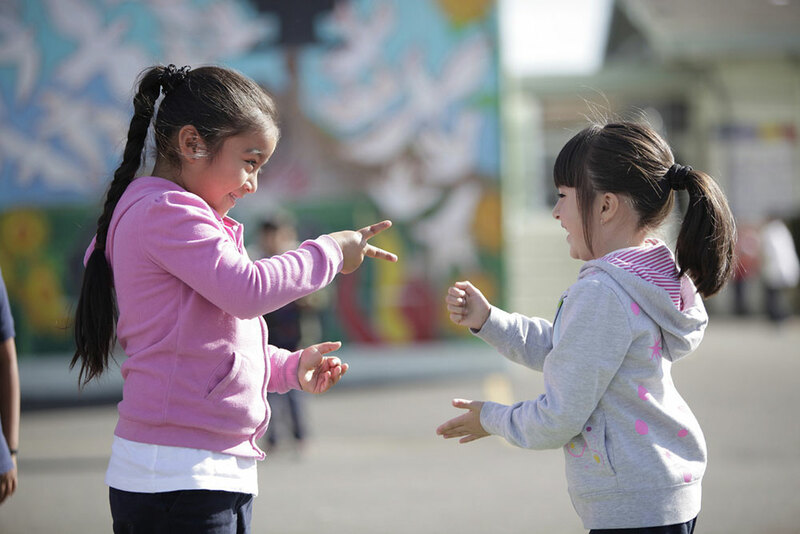 Rock-paper-scissors: Playworks recommends teaching kids this game for resolving minor disputes. If players show the same things, they go again. If one player picks rock and one scissors, the player who showed rock wins the dispute. To explain this, say that rock crushes scissors (no need to actually crush). If one player picks scissors and the other paper, the player who showed scissors succeeds. Scissors cuts paper. If a player shows paper while the other shows rock, the player who picked paper succeeds. Paper covers rock. Find more than 200 games in the searchable game library at playworks.org/playbook/games.